** Visit www.klaviation.com for even more great content! 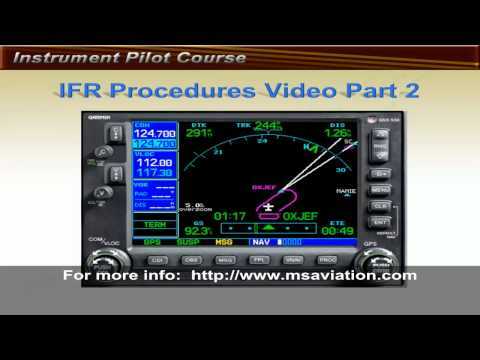 ** Holding is considered one of the most difficult things to learn when flying instruments. 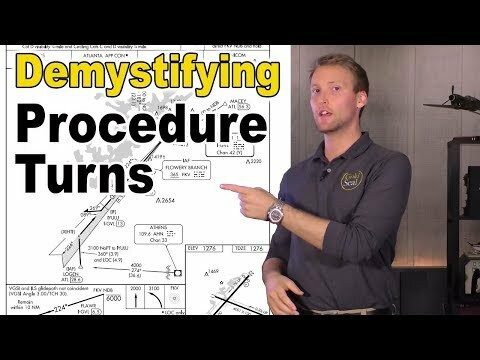 Any holding pattern includes the same four basic elements: Holding Fix Holding Course Outbound Heading Inbound / Outbound Ends Each element of the holding pattern is just a simple heading or course intercept, just like normal IFR flying. The holding fix is the point where the holding pattern begins and ends. 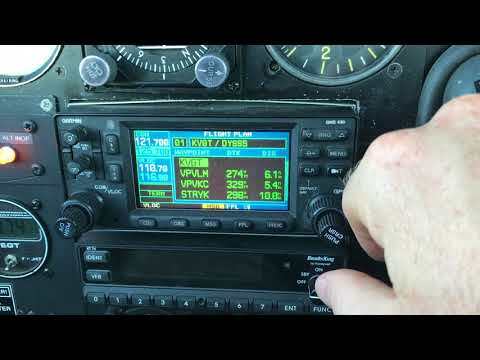 A holding fix may be a VOR, NDB, intersection, GPS waypoint, or even a DME from a navigational aid. Your holding course is the course to the holding fix. 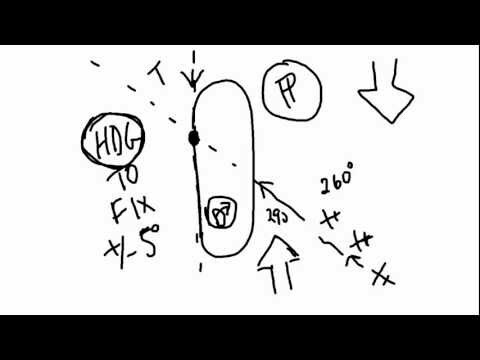 For example, if we are holding on the 180 degree radial from the holding fix, our holding course would be 360, or the reciprocal. 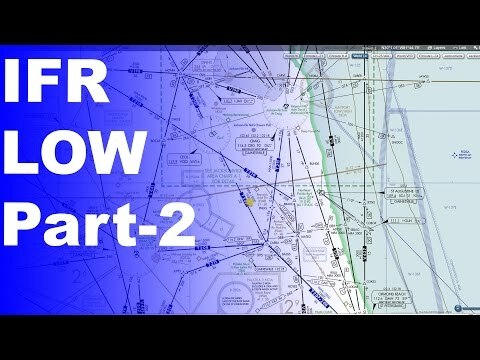 If you are holding at anything other than a VOR, the air traffic controller will give you a course "to" the holding fix (i.e. "hold on the 180 course to the anytown NDB") A holding pattern outbound heading is simply the reciprocal of the holding course. 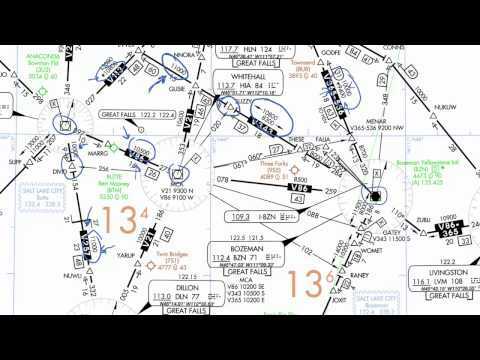 If your holding course is 360, the outbound heading is 180 in a no-wind scenario. 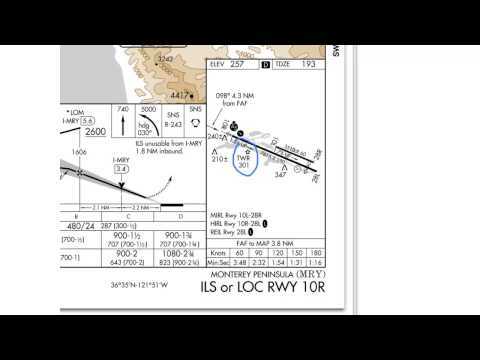 The outbound heading is only a heading, and not a course to track or intercept. 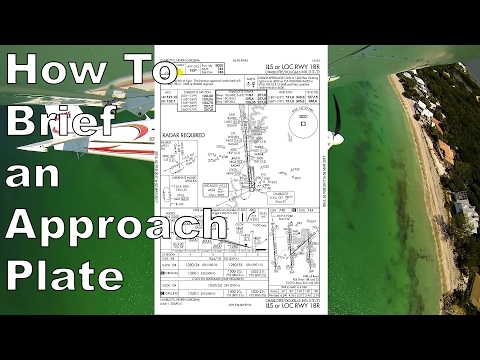 The outbound heading must be adjusted for wind to make sure that you do not fly outside of the "protected" are of the hold. 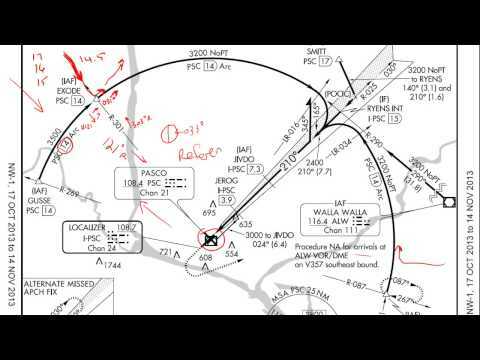 The inbound end and outbound end of a holding pattern are standard rate turns in the direction of holding. A right turn hold will have standard rate right turns, a left turn hold will have standard rate left turns. There is no adjustment to bank angle or rate of turn. 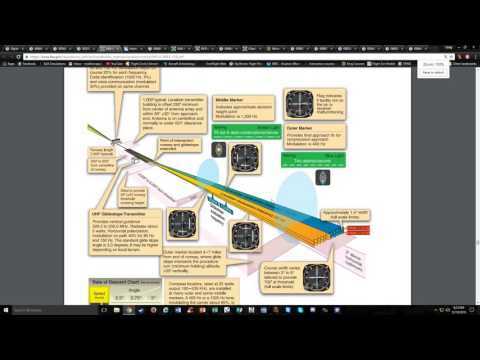 Each turn should be flown at a standard rate only. 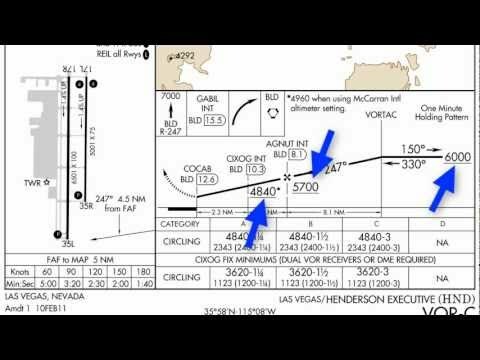 Additional points you need to be familiar with are the abeam point, and the holding/non-holding side of the hold. The abeam point is where your wing is directly 90 degrees to the holding fix on the outbound leg. This point may occur during your turn to the holding leg depending on wind. 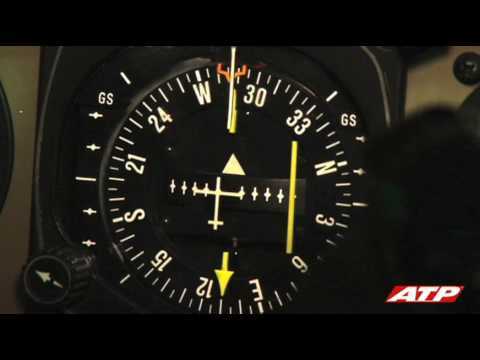 It is important to know when you are abeam the fix so that you can start your outbound time. 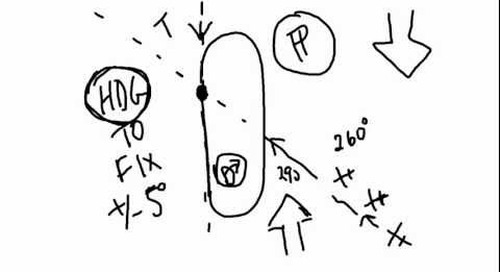 The holding side of the pattern is also known as the "protected" side and is where you are making your turns and actually flying the pattern. The non-holding side or "non-protected" side is the area on the opposite side of the holding course. 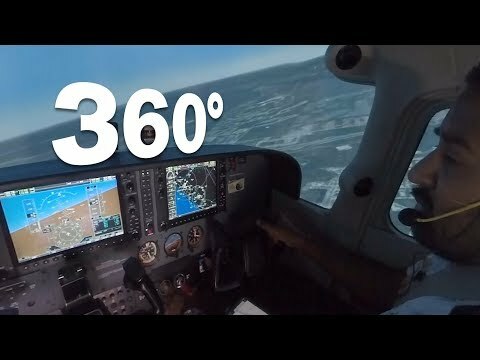 The non-holding side may not guarantee clearance from terrain, obstacles, or traffic, so it is very important to make sure that while flying the hold you stay on the holding side. 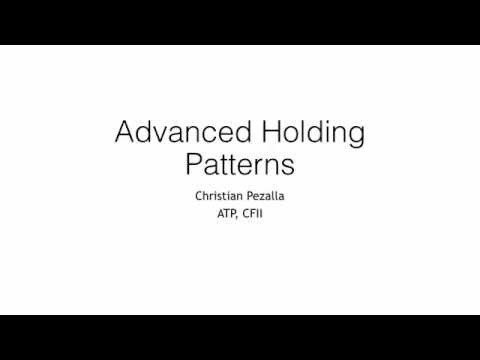 Holds are normally timed to fly a 1 minute inbound leg. 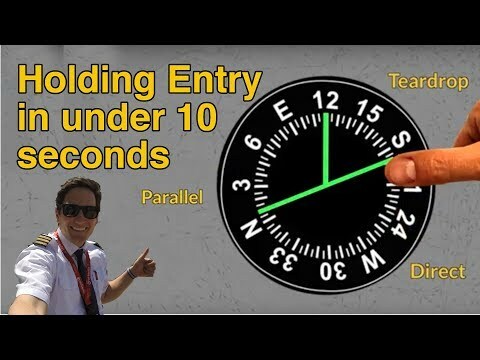 This means that from the time you roll wings level on the inbound leg, to crossing the holding fix, should be one minute. 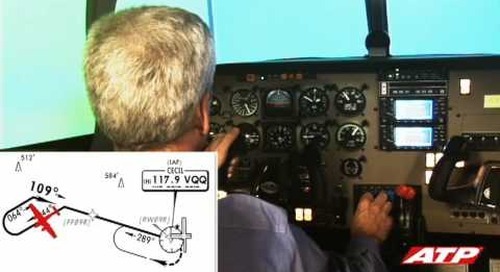 To ensure a one minute inbound leg, the outbound leg must be adjusted for wind. A strong headwind on the inbound leg would require a shorter outbound leg, and a strong tailwind inbound would require longer outbound leg. One minute is a goal, and it may take several turns in holding to come close. Don't worry if you don't always make it work, it's not a rule. 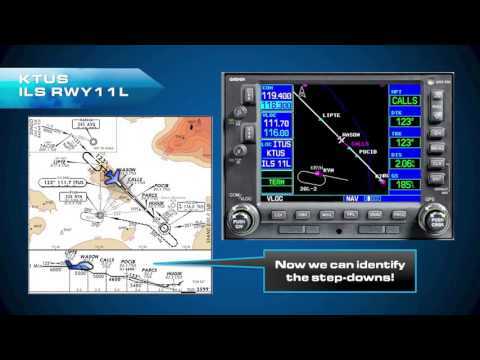 Instead of time, a GPS waypoint hold or a DME hold will usually specify a distance you must fly instead of time. 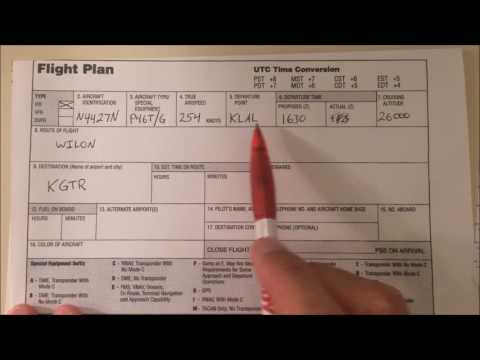 These distances will either be published on the chart or approach plate, or else assigned by atc. 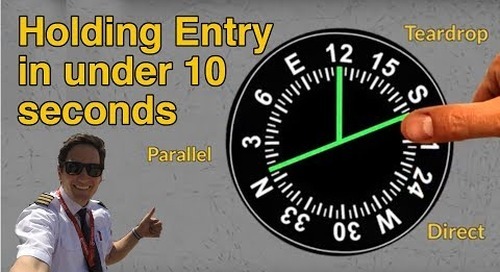 Now that you know the basics, you are ready to tackle the three holding entries: parallel, teardrop, and direct.